This should be obvious, but something needs to be stated by somebody: Based on previous development cycles, Microsoft's plans for public beta and the PC market's desperate need for a new OS this year, Windows 8 is tracking for October launch. Actually, the public beta coming this month is the last milestone for hitting October, otherwise Microsoft might be forced to repeat history and, like Windows Vista, miss the holidays. That's unthinkable. By measure of Windows 7, its successor is actually trailing behind development track for October. Microsoft released Windows 7 Beta 1 in early January 2009. Windows 8 public beta is expected six weeks or more later. Typically, Microsoft would have offered a second Windows 7 beta but went right to release candidate. Windows 8 would need similar accelerated track to be ready for the holidays. Just one snag: The new OS is much more ambitious. There's new Metro UI, ARM processor support and architectural changes that hugely impact developers. Oh, yeah. Microsoft is launching a software store, too. End-of-February to October launch is a stretch. Be sure that Windows & Windows Live division president Steven Sinofsky and team have a good idea where they are and where they need to be to ship Windows 8 this year. February is the key milestone month, the last beta launch window to hit holiday 2012. Case in point: Windows Vista. Microsoft couldn't get out a beta by the end of February 2006. In late March, the company stunned techdom by announcing Windows Vista wouldn't ship for the holidays. My God! How do you miss Christmas! OEMs need time to test new Windows versions, put together software images and ship PCs into the channel. Even in this era of real-time manufacturing, retail remains the primary sales channel. PC manufacturers still need a good six weeks from final Windows code's release to manufacturing to actual launch -- a little longer to get PCs in stores. Ideally, then, Windows 8 must RTM by end of August to make October launch, which is best timeframe assuring the channel is stocked for Black Friday. Windows 7 released to manufacturing in late July 2009 and launched in late October of that year. There was a full 12 weeks in between, and Windows 7 didn't require much more from developers or OEMs than Vista. Windows 8 demands much more from both groups -- and business customers, too. Windows 8 won't be a big business launch. It's all consumer this time. The majority of enterprises will have just completed or soon will finish Windows 7 deployments by autumn. Then there are the changes under the hood and user interface, including Metro and Ribbon, that give IT managers and developers the willies. Sure, massive enterprise adoption is inevitable, but not right away. 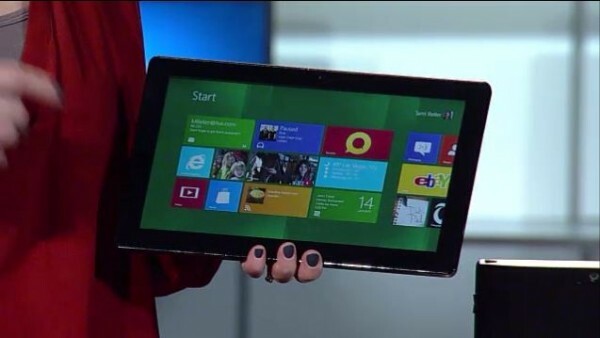 Well, somebody corporate will want Windows 8 tablets sooner than later. Successful consumer launch is essential, and that means Microsoft must make the holidays -- or face another Windows Vista disaster. Consumer PC sales are down, based on data from Gartner, IDC and Microsoft -- that's for all 2011 and projected for at least first half of this year. Correction: Windows PC sales are way down. Macs are selling just fine, thank you. That makes holiday 2012 all the more important and the next six months absolutely crucial for Microsoft and its partners. Given the timetable's tightness compared to Windows 7 and how it tracks against Windows Vista's delay, I could post something radically predicting that 8 will be late. But I have confidence in Sinofsky and team based on how they turned around Windows 7 after Vista's failure to launch (or to be widely adopted). Additionally, Microsoft plans to launch the Windows Store concurrent with the public beta, which foreshadows that OS development is far along. Still, I must conclude that to broadly make holiday 2012, Windows 8 must RTM in August (sooner would be better) and launch in October. Fall-back scenario would push gold code to September and limited availability for the holidays. Worst case: Windows Vista-like delay.